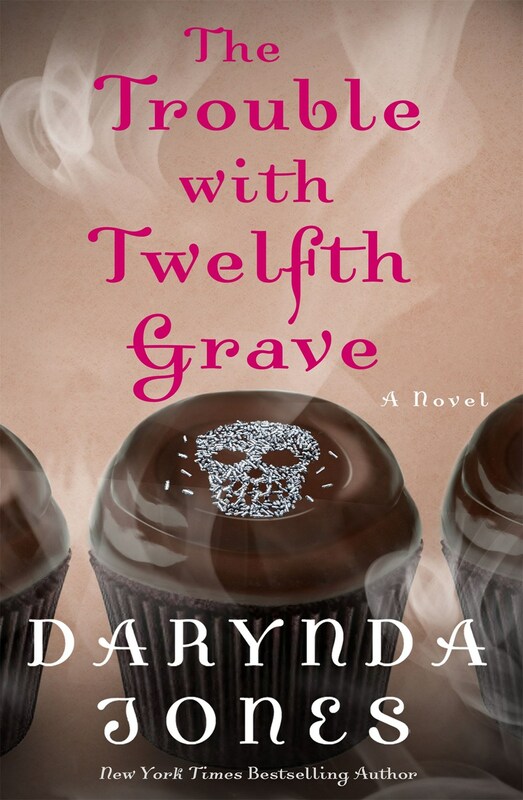 Grim Reaper Charley Davidson is back in the twelfth installment of Darynda Jones’ New York Times bestselling paranormal series. 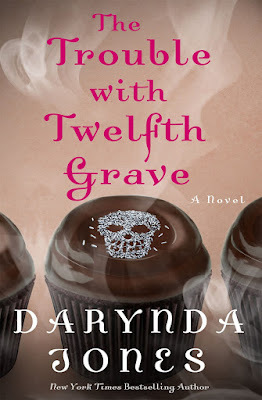 The Trouble with Twelfth Grave, by author Darynda Jones, is the Twelfth installment in the Charley Davidson series. The story picks up 3 days after the ending of Eleventh Grave in Moonlight. As the synopsis really gets the the meat and potatoes of the basic storyline of what happens in this book, I shall do my best to endeavor not to spoil anything. Know this, as this is the 12th book in the series, and with only One book left before the series comes to a close, things happen in this series that will leave you screaming, laughing, and crying. You've been warned. Charley Davidson aka the Grim Reaper aka the Goddess known as Elle Ryn Ahleethia aka mother to Beep, and wife to Reyes Alexander Farrow, has her hands filled with everything from a haunting, to the GOD telling her to clean up the Reyes mess or else, to someone killing people in a downright gruesome manner, to the Vatican snooping around trying to gleam information about Charley and Reyes daughter, to a criminal who attacks one of Charley's best friends. So for now, let me say that Charley is lost without Reyes. She is also totally and absolutely obsessed with him when he is around. Her body melts like cheese whenever he is anywhere around him. Even when she wants to kill him for going off the reservation. Even though she knows it wasn't really her fault that Reyes is in the situation he is in, Charley is still expected to figure out how to get Reyes out of his situation before a hoard of Angels hunts him down. This book, not unlike the past few books in the series, features almost every single character that has been introduced from the first book forward. There is the usual suspects who she calls her Scooby Gang (Cookie, Garrett, Osh, Uncle Bob, and Angel) who all work to reign in Reyes before he can destroy the world, or be destroyed by the Archangel Michael. Then there's the tertiary characters like Amber Kowalski, Nicolette Lemay, Sister Mary Elizabeth, Special Agent Kit Carson, Gemma Davidson, and Pari. This book is fast paced and an emotional roller coaster ride that will leave you eager to find out how Jones is going to suss everything out that has happened recently. This book reads very quickly. Seems like I had just started reading the book, and then BAM! the author nearly killed me with that ending! I know that we are down to the final installment which is sad. But, do we really have to wait an entire year? So not fair!